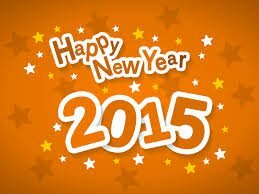 Wishing you all a very happy and Healthy 2015. Amazing Threads will close @ 4 pm on 12/31/14. The hustle and bustle of the holidays is almThe ost over! The holiday decorations are being boxed away. There is now time to complete projects that didn't make the gift giving deadlines. 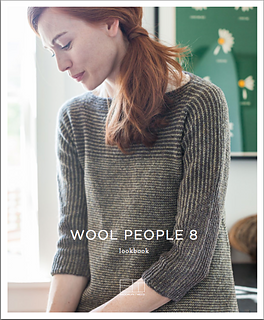 Start gift knitting early for 2015. 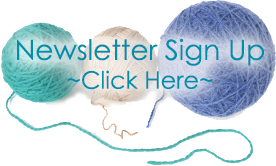 Lets DECLARE JANUARY IS THE MONTH TO KNIT AND CROCHET FOR YOU! Each and every day new stuff arrives! Grab your gift cards and come in and shop. 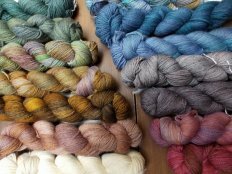 The staff are ready to help you find something to KNIT FOR YOU! 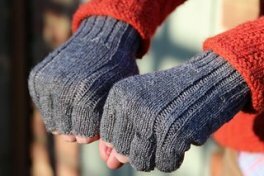 Lovely to knit even better to wear! 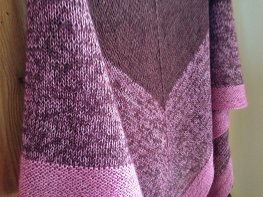 Michelle C has just finished Spring Kerchief shawl using 2 colors of Malabrigo Silkpaca *Pattern is free, click on the title. She used 1.5 of the damask (pink) color and 1 of the brown. 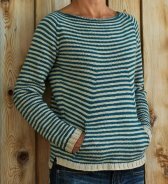 Mary Jane is just casting on "Namesake" in Hikoo Simplinatural by Michelle Hunter - We will be doing a knit-along..dates announced next week. 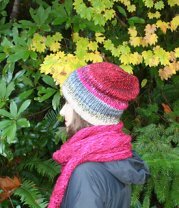 Our next Learn to Knit starts Saturdays January 10, 17, 24, & 31: 10-12 You will learn to knit a cowl and a hat in 4 sessions! Do you have unfinished projects? Are you stuck on a pattern? Do you want to start something new? 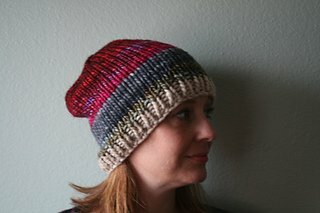 Bryna Beret starts January 5; Huntley Hat starts January 8; Shellseeker starts January 10; Mix 31 starts January 8. 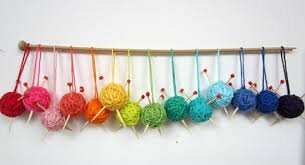 Mark your calendars NOW for the January Knit-Along with Deb C. Beginning on Sundays, January 11, 18 & 25 Note class will meet from 12-2 pm each Sunday. this is a time change. 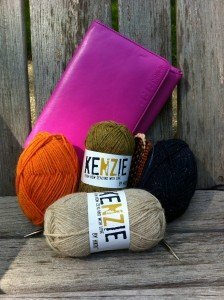 Michelle Hunter will slowly release the pattern for Endgame ... a gorgeous cabled scarf, worked out of 3 or 4 skeins of HiKoo's® Kenzie yarn. CHECK OUT THE DETAILS ON OUR WEBSITE! 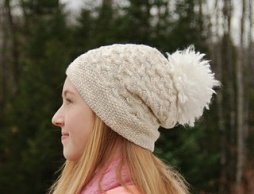 This mystery KAL introduces new stitch patterns and techniques that are all supported with FREE video instruction. And of course, there will be plenty of chances to win fabulous prizes from Skacel. Free HELP DESK on Sundays, January 11 & 25 from 12-2 pm if you have questions or need help on projects purchased at Amazing Threads. 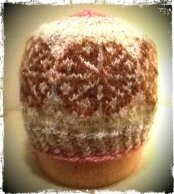 Knitting hats for Austin..has gotten me in the mood to crank out a few more.